If you are looking to begin picking car locks, you will need to have the proper tools. Automotive lock picks are almost as diverse as the types of car locks that exist. There are many things to consider. You need to know a bit about car locks and what you are looking to pick before you can get the right tools for the job. Determine your skill level and whether you need these tools for your profession or just for the fun of learning something new. Only then can you choose the right auto lock pick set. Always follow the rules of lock picking and never use your skills for illegal activity. When we are talking about car locks, we are predominantly discussing car door lock cylinders and trunk locks. Car ignition cylinders are rarely picked due to the additional electronic lock protocols that are made to keep the car from being stolen. However, the exterior locks are often lower security. These locks can come in a variety of lock types, but some are more popular than others. The most likely lock styles that you are going to see are wafer locks or slider locks. Both of these common car locks are the reason that bump keys do not work on cars. But there are different styles that have been experimented with in the past. Some manufacturers such as Ford and Jaguar have used disk detainer locks in the past. And in the very old days, some classic cars even used pin tumbler locks. Due to the mass production of the locks, quality is almost always sacrificed for quantity. To add to the disincentive for automotive companies focusing on lock security, there are many ways to get into a car without manipulating the cylinder. The focus for car security is almost always placed on alarms, LoJack, and other electronic features. The wafer locks are mainly double wafers, which need the internal mechanisms to be depressed or elevated. If a car key has bitting on both sides of the blade, it is most likely a double wafer lock. This is one of the most popular types of car door locks. When it comes to mid-priced models from almost every manufacturer, this is the go to lock cylinder. On some classic cars, this style of lock is used with bitting on only one side and it may look like a standard pin tumbler house key. You are likely to see slider keys on cars that use a keyless entry fob but still have lock cylinders. The rectangular profile of the key makes it perfect for sliding into pre-made cutouts in a remote or key fob. The bitting is often snake or worm-like in appearance, and the cuts are down both sides of the key blade. Do to the easy concealment of these keys they are more likely to be found with luxury or slightly higher end models of a variety of manufacturers. Many new cars are being made with this style of lock if they have locks on the car at all. It is a bit of a rarity to see disk detainer locks on cars. Ford used them for a while, but they are more popular with the car manufacturer, Jaguar. Cars that use disk detainers have a different key profile than most padlock or house door lock disk detainers. Cars have the disk moving section of the key placed at the very end of a rod shape, instead of having cuts all along (or even along most of) the blade. Every once and awhile you will find a car that has a basic pin tumbler lock cylinder. This is almost only for very old classic cars. These keys will often look like the single wafer car lock keys. They will also pick similar to the single wafer locks. It is going to be a rarity to find a car lock that uses this system as large-scale manufacturing efforts made the switch to the wafer system very early on in the history of automotive assembly. Learning about car locks is quite difficult. Most online resources for lock picking do not share information with the public on the topic of automotive picking. That means that being a professional locksmith will open you up to more information, but it is is not a lost cause for the locksporters out there. It just means that you will have to work on these locks with less information and have fewer resources to work through your questions and issues. 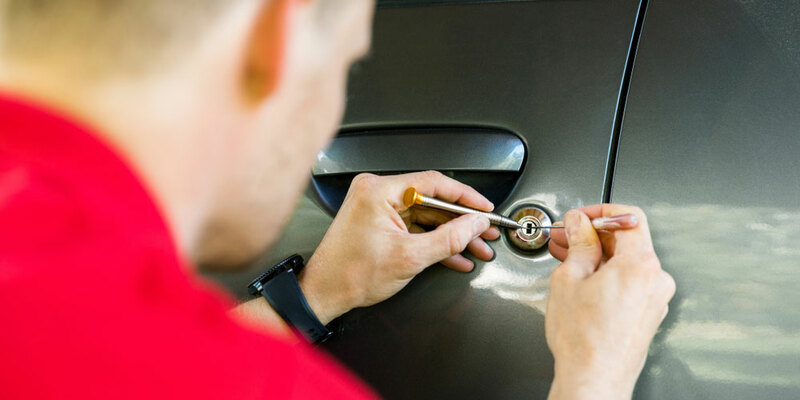 To take on the task of learning the particulars of automotive lock picking you need to have a strong enough background in lock picking to be able to put certain things together. Even knowing enough to have an idea of where to begin your research is important. Car locks are not a good place to start learning to pick. Mainly because the information does not come easily. It is better to learn about the types of locks used in padlocks and house locks before moving onto cars. When it comes to being a hobbyist, you have the benefit of taking the time to understand the lock and fine tune your tool choice and attack based on the information the lock is giving you. Professional locksmiths and other security field workers are often focused on getting fast results. Having a method that is more about craft and can be relied upon to get the job done fast, is a must when you are working for a client. As a professional, you may also have to do more with the information that you gather from the lock, such as cutting a new car key. For professionals, I recommend tool sets that include mainly key profile picks with a variety of styles. There are sets available that provide several different profiles for each type of car manufacturer. Depending on the set, there may be literature that explains the best way to use the tools. One of the best parts about jigglers and rockers is that you can use them without a tension wrench. This allows you to work more freely and be able to hold fewer tools as you potentially cycle through several of the key profiles. This is often slower than using other professional car opening tools. Besides the tools meant only for picking, it might also be useful to have a decoder tool. Decoder picks work similar to standard lock picks, except they will allow you to know the depths used to cut a key. Also, similar to a jiggle key, this tool will likely provide its own tensioning and not need another tool to be inserted. When you are a lock picking hobbyist or looking to become a lock picker, you have the blessing and curse of being able to focus on whatever suits your interest at the time. This means that you can pretty much choose the auto lock pick set that best assists with learning your chosen skill. This can include familiarizing yourself with professional methods of entry and decoding listed above. You can take the time to familiarize yourself with the car lock cylinders by single pin picking the locks, and feeling each component move into the correct position. If you are looking for lock picks that will help you SPP the lock, you can do this kind of work with the tools of a starter lock pick set. These types of tools work great with wafer locks and sliders. For certain cars that use disk detainer lock cylinders, you will need specialty tools for that lock type. Where to begin really depends on what you want as your end result. Are you looking to become a locksmith or are you seeking to become a more well-rounded lock picker? Your particular starting point depends on both interest and your skill level. Are you starting a new skill without any prior lock picking experience? Everyone starts from somewhere, but the less you start with, the more you have to learn. There are some basic tools that are going to be worth having in your auto lock pick set. 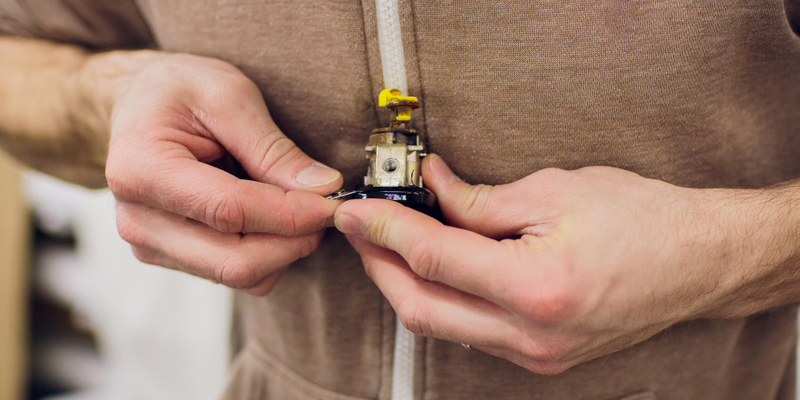 You might not have a need for all of them, depending on what types of car locks you want to pick, and if you are doing this for a job or not. As a professional, you should have and know how to use every available tool. This will help you round out your security education, and show you the different approaches you can take. In a professional setting, you may only use the tools you feel most comfortable with while you are in the field. With that being said, take a look at these popular lock picking tools for cars and choose what suits your needs. The most versatile type of lock picking tool you will have at your disposal are standard lock picks, which allow you to move each component in the lock separately. A standard hook is one of the better choices for automotive single pin picking. You can use a hook to move wafers and sliders. And in the rare (and unlikely) instance that you run into a car lock that uses a pin tumbler system, a hook is a great tool to have. When it comes to disk detainer locks, there are specific tools made for picking the disks. Because the components are being rotated and not elevated or depressed, it is helpful to have a tool that allows for simple controlled rotation. You can purchase general disk detainer picks, or you can move onto the decoder section of this section for tools that will work the same but are made for car lock specifically. The technique for using a pick in the different locks will vary, but the basic premise is that you are feeling all of the internal components, whether they are disks, sliders, wafers, or pins. Once you feel one that is not as loose as the others, you attempt to move that one until you feel it fall into place. Then you move on until the last component is binding. If you have not over set anything, then the lock is picked fully or at least to a false set. It is unlikely to encounter security measures that will give you a false set with car locks. Things like false gates are also rarely (if ever) an issue. The most popular car lock decoders are for wafer locks and car disk detainers. Decoders are picking tools that have an easily taught system of opening the lock while also finding out the bitting of the working key. These tools are effective at opening car locks in the field under professional pressures. You can rely on training and a prescribed method of dealing with the lock to ground yourself. Being able to decode the lock is also useful if there is an issue getting the key code for the car itself. There are many reasons that you may be unable to gather the key code for the car. Things can go wrong with the equipment. Service could be down for the internet. The car door lock cylinders could have been replaced so the information is out of date. You may need to go the analog route for your customers. Lock pickers who double as collectors have a fondness for having keys for everything in their collection. If this sounds like you, a decoder may be of particular interest to you. When the lock is removed from the car, there is no simple way to find the key code. Having the ability to decode the lock will even allow you to do the cutting yourself if you have the proper key cutter. It is important to know how the decoder works on the particular lock you are working with. How the data is recorded can vary from manufacturer to manufacturer. In this section we will talk about all the different key type lock pick tools, beginning with the ever popular jiggle keys. These keys are also referred to as auto jigglers and a host of other names. Jiggle key sets work on some car wafer locks. They are also very effective as a way to defeat basic motorcycle security and have been known to start some motorcycles as well. Though they can start some vehicles, it is not recommended, as these types of picks can ruin locks very quickly. Rocker picks are very similar to jiggle keys, except they often have an even wider variety of profiles, whereas jigglers often use the same few profiles across the many manufactured sets. Rockers are also more likely to use thicker metal and fill the keyway more. This makes them better to use without additional tensioning tools. Though jigglers can provide their own tension, you have a better chance of extending their life by using them in conjunction with a tension wrench. There are also tryout keys. These are essentially just keys. Where the rockers and jigglers give you a sense of how they are meant to be moved in the keyway, tryout keys are simply inserted and turned. You use them as though they were the correct key. When they do not work, just like all other key profile picks, you cycle through the other various options. Rocker sets are the most versatile because they are often not as highly specific as tryout keys and not as general as the jiggle keys. There are tensioning tools made specifically for car locks. They look like forceps and fit into the keyway using outward spring tension and secure to the lock from both the top and bottom of the keyway. These tools are used because there is rarely any type of paracentric shape or warding on automotive locks. The keyways are quite open, with the likely exception of a spring operated keyway cover, which is moved out of the way by inserting the tension wrench. Additional tension tools are optional with key profile picks, necessary with single pin picking, and redundant for most decoder tools. If you are not applying tension as you are picking the lock, it is not going to open. So if your tool is not allowing you to also tension the lock, then you need some form of tensioning device. You do not have to use an automotive tension wrench specifically. You can use any tension wrench that will fit the keyway. Due to the often wide size of automotive keyways, something like an automotive tension tool achieves the grip needed to apply torque to the cylinder. The prybar profiles are likely to be too slim. You will need something like an ‘L’ bent tension wrench that has the girth to sit in the keyway. When you know more about car locks and the different types of internal mechanisms they use, you still have more to consider. Your skill level will determine where you should begin with your car lock picking attempts. Whether you are hoping to pick automotive locks for your profession or as a hobby, will determine your freedom to choose where to begin. Once you know what you want to pick, you just need the right tools. With all of that taken into account, you will have no trouble picking car locks. Be sure to stay on the right side of the law, and good luck choosing your new auto lock pick set.